Welcome back to another day here on the blog! Today I am going to be doing a Styling/ Try on video for the items that I received in my March Dia & Co Box! If you haven’t seen that unboxing them click here! Today is going to be my usual follow up video for all my Dia & Co Unboxings. Here I show you how I would style each piece, how everything looks tried on, and what I decided to keep and send back. So enough of the chit chat, lets get to the video! Did you enjoy the video? I hope so! 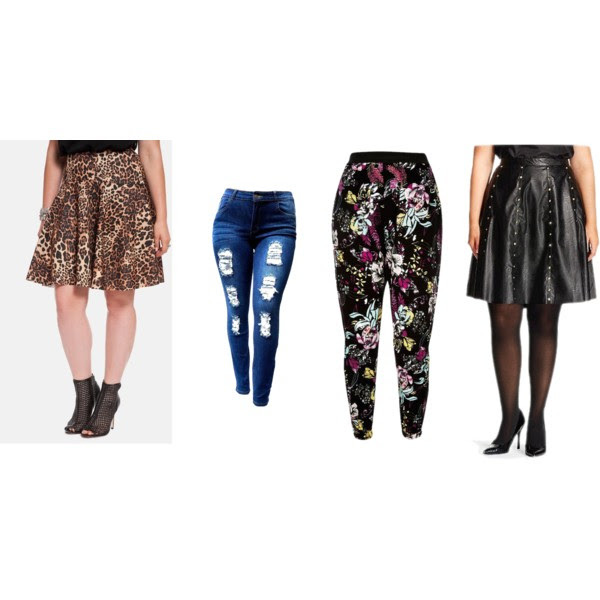 If these were your pieces, how would you style them? Comment below and let me know! So lets get into how I would style them, and what stays and goes. This skirt has a very vintage look to it. So I would pair it with different types of tops in various colors that give it that 1950’s look. Halters, blouses, and even a crop top would do the trick. I could stuff so many tops that skirt. 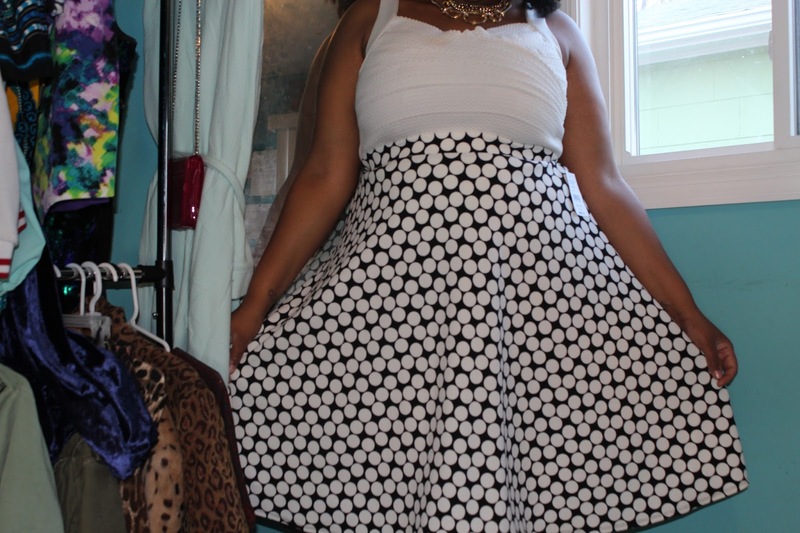 I wish it fit me the way I wanted, but I have plenty of skirts like this already in my closet. This dress was too gorgeous to give up! 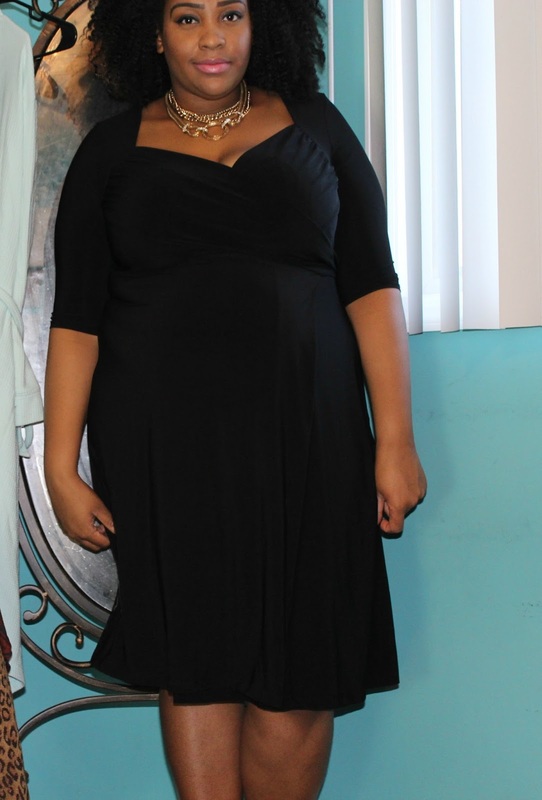 It fits like a dream, and its the perfect dress for any event. I plan on styling this dress with colorful accessories. 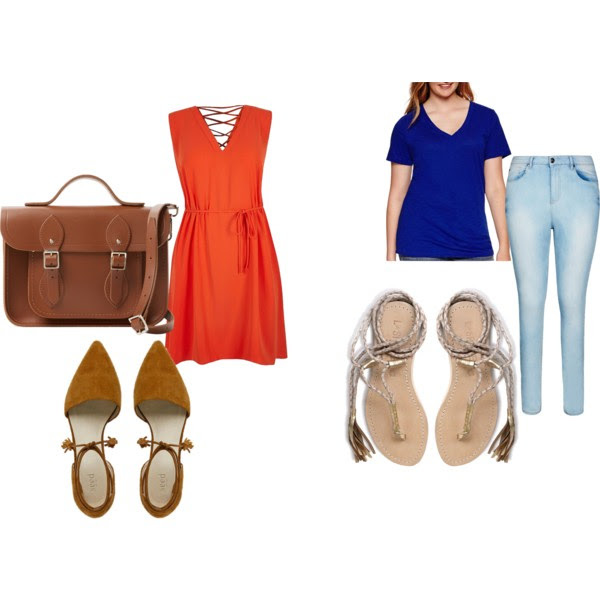 Since this is a plain black dress, adding some color through accessories will make this outfit come alive. This top is perfect for pretty much anything! I wish it fit me better so that I could have kept it. This top can be paired with anytype of skirt, jean, or pants. 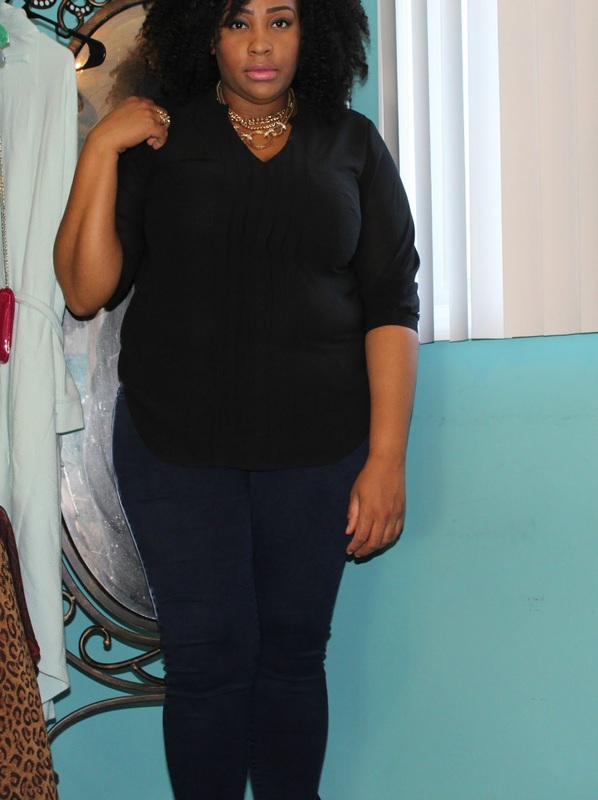 This basic black top is perfect because it can pretty much go with anything. This top actually surprised me. I thought I wasn’t going to like it, but I actually did. Too bad it didn’t fit. But I’m pretty sure I can find something similar. This top can go great with jeans or jean shorts. I would also rock this as a cover up for my bathing suit. 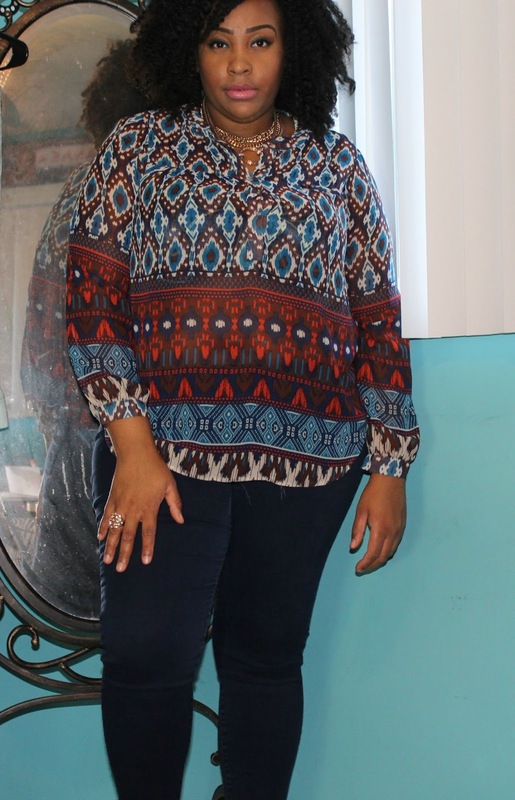 Tunics are great for warmer weather, so I will definitely be finding another one that fits. 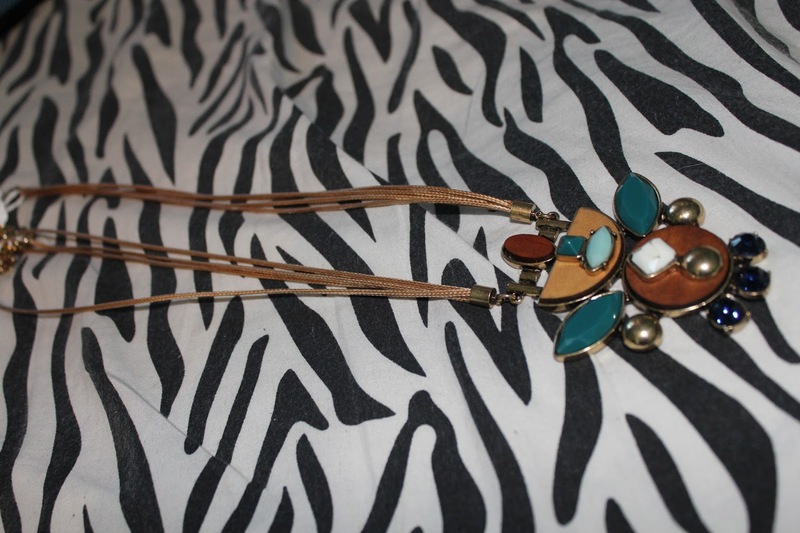 This necklace is not my style, but you could definitely pair it with alot of things. You can pair it with jeans and a t-shirt, a cute dress, and so much more. So that’s it for today’s Dia & Co Styling and try on video for March! Be sure to check out Dia & Co’s website and order your very own monthly box. Click here to visit the website! I promise you will love getting clothes sent to you each month. I having a blast trying out different brands, and some that I am familiar with. Are you following me on social media? They are linked above, and my snapchat is BrieLikeMe! Also be sure to follow the blog’s instagram and twitter page over @NoMinusPlus! I have been loving sharing things over there! So until we meet next week, I love you lots like tator tots, and see you soon!